Festival Boards and Event Planners - don't hesitate to schedule your inflatable festival bouncey rentals well in advance. 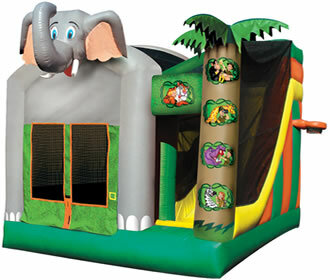 Popular Bounce House Units for Festivals and Large Events book up very quickly - sometimes over a year in advance. Also, many large events have signed contracts with their inflatable providers for more than one year, so that just makes it more important to reserve your inflatable interactives, dunk tanks, etc. as soon as you are able. Find a Festival Inflatable to Rent.